The Stepping Stones Group is currently interviewing school-based Speech Language Pathologists for the 18/19 SY in Hartford, CT! 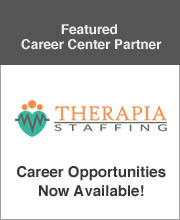 This is full time, serving grades K-12, with full clinical support. New grads welcome to apply! We are interviewing Speech-Language Pathologist Clinical Fellows for our school-based openings for the 19/20 SY in Hartford, CT! We are an ASHA certified continuing education provider and believe in providing opportunities to learn and grow!